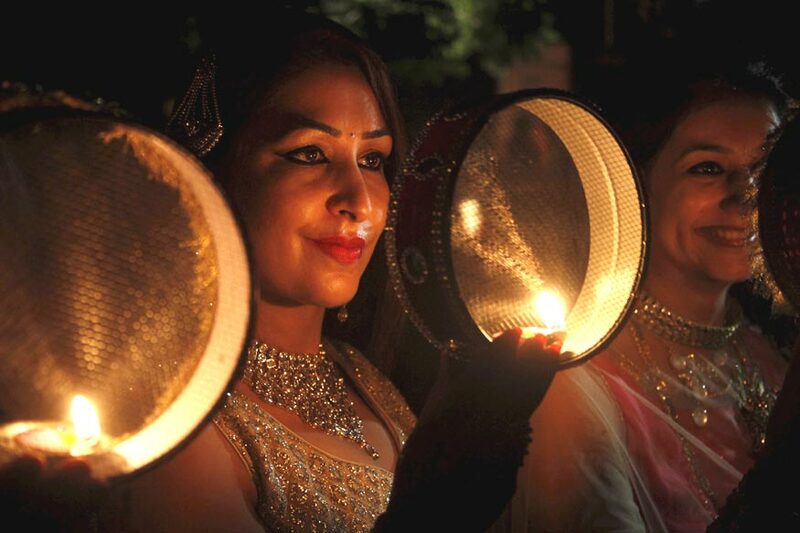 New Delhi: Use baby oil, rose water and milk masks to get your skin glowing for the festival of Karva Chauth, says an expert. Naresh Arora, founder of Chase Aromatherapy Cosmetics and Chase Skin Care Institute, has listed some easy skin care tips. * Increase the intake of water. Drink around 6-8 glasses of water to stay fully hydrated. This will help in releasing all the toxins from the body increasing skin illumination. * Use rose water for washing and cleaning the face. Keep the rose water refrigerated and spray it all over the face after regular intervals so that no dirt stays on. * Instead of taking caffeine in the form of tea or coffee, take green tea. Generally, ladies think consuming caffeine will help them stay active and energetic during the day. This is not the healthy option. It might strip off the body's moisture leaving you dehydrated. Green tea is not only good for your skin but rejuvenates stomach also. * Massage your face with baby oil. Massaging helps in tissue and muscle relaxation and baby oils are the best suited for all kinds of skin. They treat the skin with great tenderness. * Take care of your eyes specially. They are biggest contributors to face's expression. Keep them moisturized. Try and take full rest. Use eye cream before going to the bed for best results. * Do not experiment with your facials and other skin treatments around these days. The new skin treatments may or may not suit you. There are major chances of getting adversely affected. * Try honey and milk mask. Take two teaspoons of milk with one teaspoon of honey and add one teaspoon of besan (gram flour) and mix together to form a homogeneous paste. Apply all over the face and leave it for 20 minutes, allowing the pack to dry. Rinse off with warm water.